4 new releases for Body Mod 2014. These come with Sinful Needs Appliers, Slink Physique, Lolas, Omega, Brazilia, Ghettobooty,PerfectBum, and Phatazz appliers as well as Body only option, face only option, and combination option. there are 4 to choose from. Full, Faded, Dotless, and Dotless Faded. 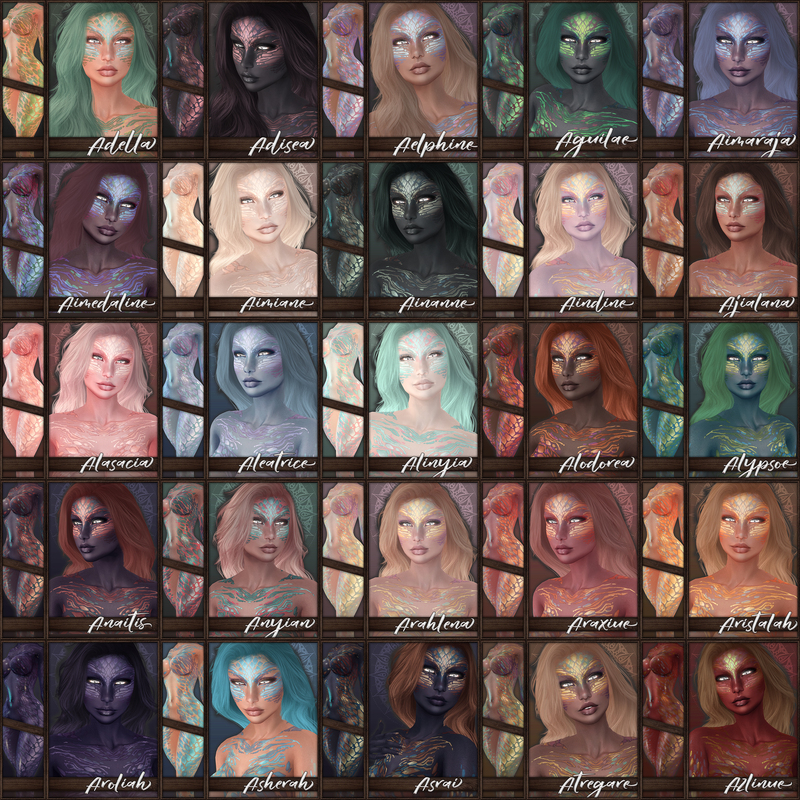 the Faoxe Tattoos are gorgeous, simple eyeshadow tattoo layers at a discount price. 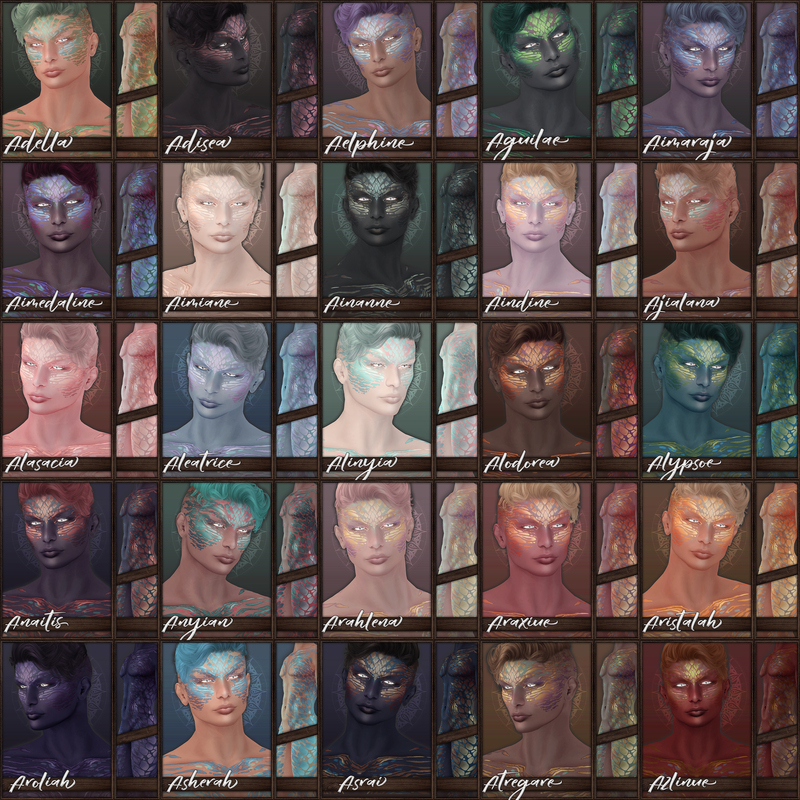 There are 15 to choose from, ranging to bright and vibrant to dark and goth. these are APPLIER ONLY Tattoos for Slink hands and nails. they are gorgeous finger faded tattoos with metallic warpaint that stretches onto the nails for a complete look. Two wear styles included- Stripes only and one with extra warpaint on the hands. I did 12 new collections of slink fingernail and toenail applier huds. everything ranging from confetti glitter, Chrome metallic polish, to some gothic skulls with french tips for halloween. ~ by Vae on October 10, 2014. Please, appliers for the Mesh Body Project, body, hands, feet… Thank you!